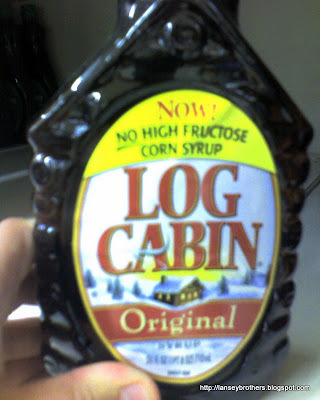 That's right, Log Cabin "authentic maple tasting syrup" has "No high fructose corn syrup!" Their website claims that they removed the HFCS and replaced it with "real" sugar. 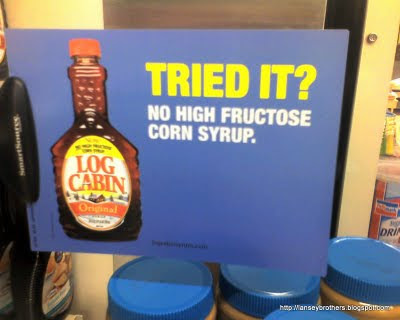 Aside from the stupidity of the comparison of HFCS and "real" sugar -- as if the sugar in HFCS is somehow "fake," and the other sugar is somehow "real" (and, of course, magically healthier) -- any guesses as to what the first ingredient in this newly formulated syrup is? Corn syrup, liquid sugar (sugar, water), water, salt, natural and artificial flavors, cellulose gum, preservatives, sodium hexametaphosphate, caramel color. But compared to a doughnut, it's practically health food. I have recently purchased my books for the semester from the BU Barnes and Nobles and so I have no money left. Do you know if the BU farmers market will accept an arm and/or a leg instead of cash? I heard that is the way they do business. As you can see in the photo, squash is $3 a pound. The same squash is $1 a pound in my local market but in a less fancy basket. 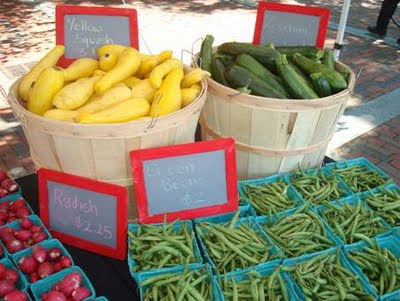 fruits and vegetables, fresh baked goods, and crafts made by area artists. For a while it was running in our lab. 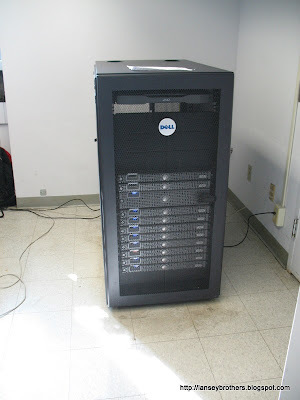 Unfortunately, the lab is not a data center: It is not climate controlled, not dust controlled, etc. But we needed it there to set up some stuff, to heat our lab and to provide deafening ambient noise. 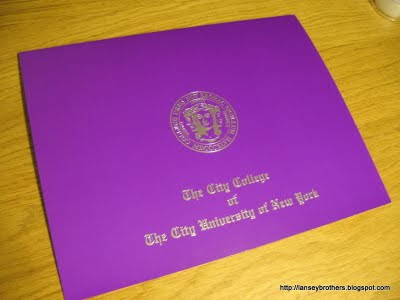 Fortunately, CCNY does have a data center, though it's in a different building (NAC), about 1000 feet from the building the lab is in (Steinman Hall). 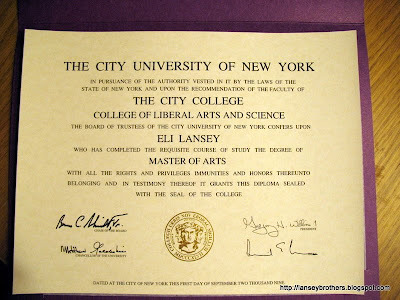 This past Wednesday was the epic move to CCNY's data center. WARNING: If you are a professional IT person or server administrator, or are pregnant, have a heart condition, or are overly sensitive to computer abuse, please, stop reading at this point, and go find pictures of butterflies or daisies. Continue reading at your own risk. School has started again and I find that I need to fill my Human Social Science requirements. So I am taking Psychology; yes I know psychology. The professor is a bit of an eccentric, also makes rather large statements as if they where facts. The one statement that I have decided to nitpick is a fun one, he stated that the brain is incredibly amazing (a fact that I will not debate), however felt it necessary to add one more thing to how amazing the brain is. He informed the class that the brain has more connections in it then there are atoms in the universe. Of course this immediately range alarm bells in the scientist part of me. Looking at this from the most basic logical standpoint, the fact that your brain is enclosed in the universe means that it can't possibly have more things in it than the universe. However, for the sake of argument lets work it out. The human brain weighs around 3 pounds or 1400 grams assuming that all of the material in your brain is carbon (ignoring that it is mostly water weight) every 12 grams of carbon would be one mole of atoms or Avogadros number (6.02*10^23) atoms per 12 grams. So lets divide the 1400 by 12 then multiply this by 4 which is the number of bonds carbon is capable of making. Now lets multiply this by Avogadros number and we find that at most the brain can have about 2.81*10^26 connections in it. Another way to look at this, which is really the whole point is that what the professor was saying is that your brain is about as amazing as a lump of wet coal, of course mabey his is. People forget about global warming during the dead of winter. There is a large drop in google searches for "global warming" in the US, Canada and the UK during our February winters. The same drop in searches for Australia and South Africa happens during their July winters. The search for "Calentamiento Global" in spanish South America has the drop coinciding with that of the English speaking southern hemisphere countries. What does this say about how people understand these issues? Unrelated, see where people have been searching for Obama.